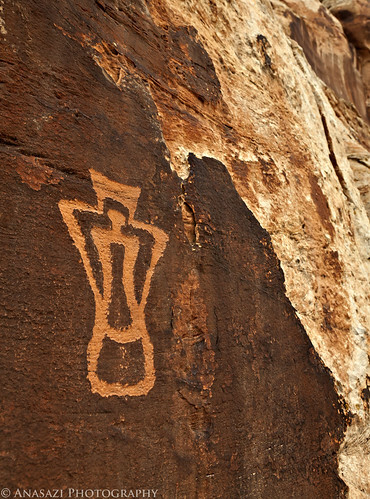 Of the many interesting petroglyphs I have visited along Indian Creek, this is one that really stands out in my mind. It appears to be a Fremont-styled anthropomorph with another figure inside of the torso…or maybe it’s just decoration? Either way, it’s a very unique petroglyph.